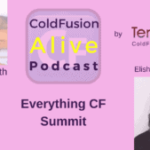 Nolan Erck talks about “ColdFusion Best Practices, Except When They Are Not”, in this episode of ColdFusion Alive Podcast, with host Michaela Light. 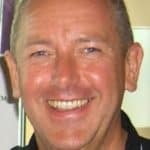 What really is a best practice? What are you looking forward to at NCDevCon, CFCAMP, CF Summit? 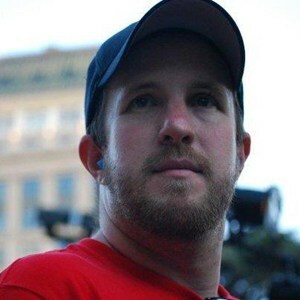 Nolan Erck is the Chief consultant at South of Shasta. He has been developing software for 19 years. Starting in the video game industry working on titles for Maxis and LucasArts, then advancing to web development in 1999, his list of credits includes Grim Fandango, StarWars Rogue Squadron, SimPark, SimSafari as well as high-traffic websites for clients. 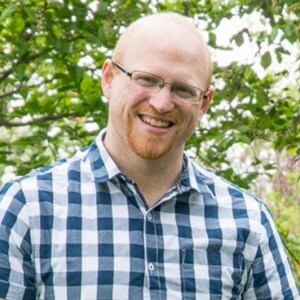 Nolan manages the SacInteractive User Group, teaches classes on aspects of software development, and regularly gives presentations at conferences and user groups across the country. Michael: Welcome back to the podcast. I'm here with Nolan Erck from South of Shasta consulting. 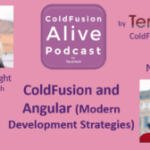 And we're going to be talking about ColdFusion best practices, but more importantly when the best practices are not the best practice. So we'll look at best practices and what they really are. What is technical debt, and why you don't want too much of it on your project. Picking two of good, cheap, and quick, and how to do that. We’ll look at a very naughty tag called C.F. form, and when they actually could be cool to use. And when it is okay to change code on your production server. We'll also look at some frameworks you may not be using, and what to do with error messages, and the best practice there. So, welcome Nolan. Nolan: Thanks for having me. Michael: Hey, I'm glad to have you back on the show. And Nolan’s being very popular. He was speaking in C.F. objective. I think you are in four sessions, or something. Nolan: Part of four sessions, yeah. Michael: Yeah, and he's also speaking N.C. Defcon, C.F. camp, and C.F. summit. So we'll talk more about those towards the end of the episode. But first, let's just clarify what exactly is a best practice? We hear about them all the time. What exactly is a best practice? Nolan: So best practice is a technique, or a guideline of some kind that has generally been accepted by whatever community you're part of. In this case ColdFusion or CFML. As that's the at least currently less proper respected way to do whatever the task is you're talking about. The reason I say most current is sometimes, best practices of all over the course of the evolution of the language, or evolution of the technology stack, or whatever. So it might be a best practice today, may not have been a best practice five years ago. And it might not be a best practice five years in the future. Next Post → Ortus Developer Week 2017- FREE, Live Webinars For a Whole Week!